In the construction of wind turbines, many components are used that cannot be fitted without first being heated. 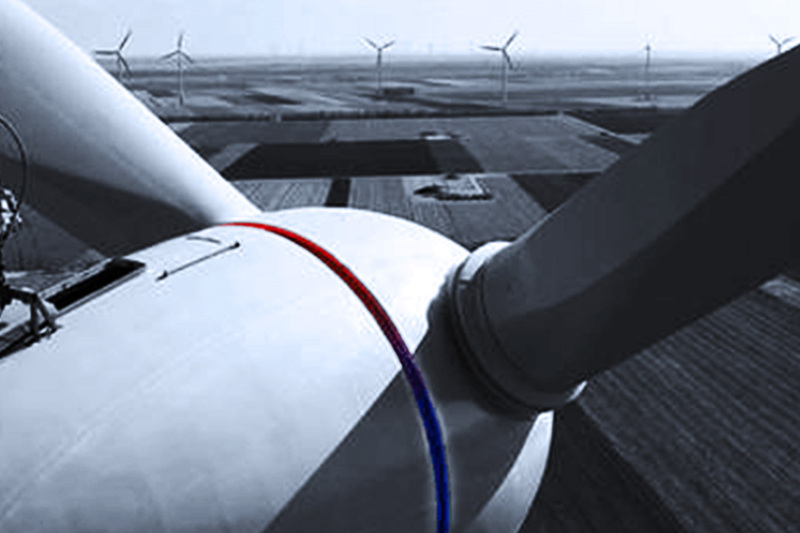 The modern and innovative systems designed by RiTeR Induction have proven themselves to be ideal for these applications and are currently used in the wind turbine sector all over the world. The following are some of the advantages of our innovative induction technologies: precise Reproducibility, time-saving, shorter cooling times, environmentally friendly, energy-saving, low noise levels and very simple to operate. The compact design and air-cooled construction are weight-saving and extremely suitable for mobile deployment. 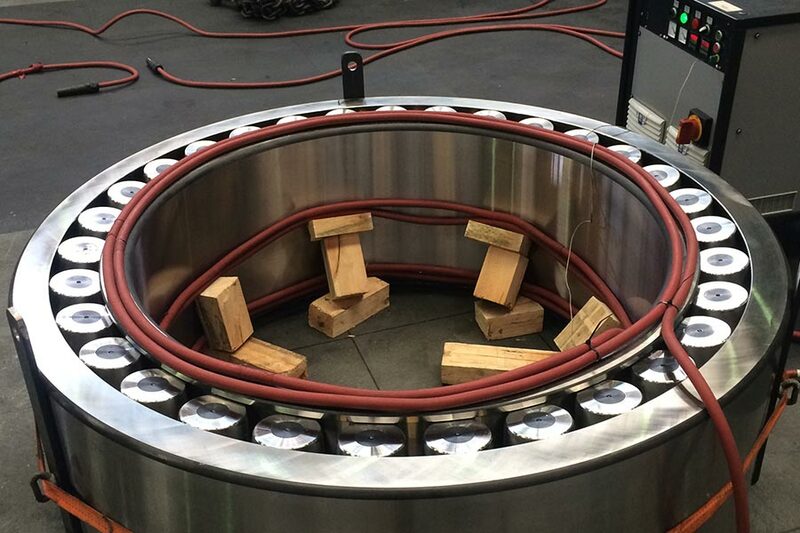 Two induction coils simultaneously heat the inner and outer rings of the bearing with a preset temperature difference (both generators remain in communication with each other during the process). The induction bench carries both induction coils as well as the bearing that weighs 2.5 tons. 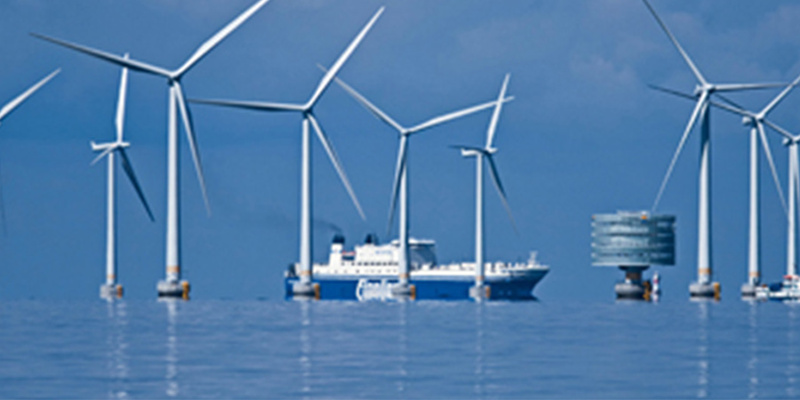 The rotor hub of a wind turbine is heated by a specially designed and adapted, fixed induction coil. The induction coil can be fitted and removed in just minutes, guaranteeing rapid installation. Furthermore, the fixed induction coils are designed so that it is impossible to misuse or make mistakes with them. This therefore guarantees that the heating is 100% reproducible and the process is secure. 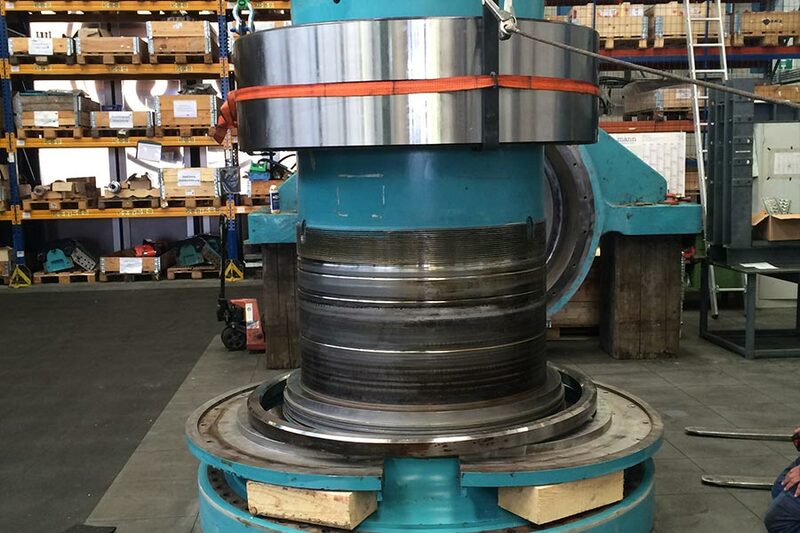 The high demands for large bearings in wind turbines continues to grow with increasingly smaller tolerances being used in the production and installation techniques. With its specially developed induction systems for these tasks, RiTeR Induction is in a position to offer a suitable solution for every assignment or technical challenge the client may have regarding the installation or removal of the bearings. 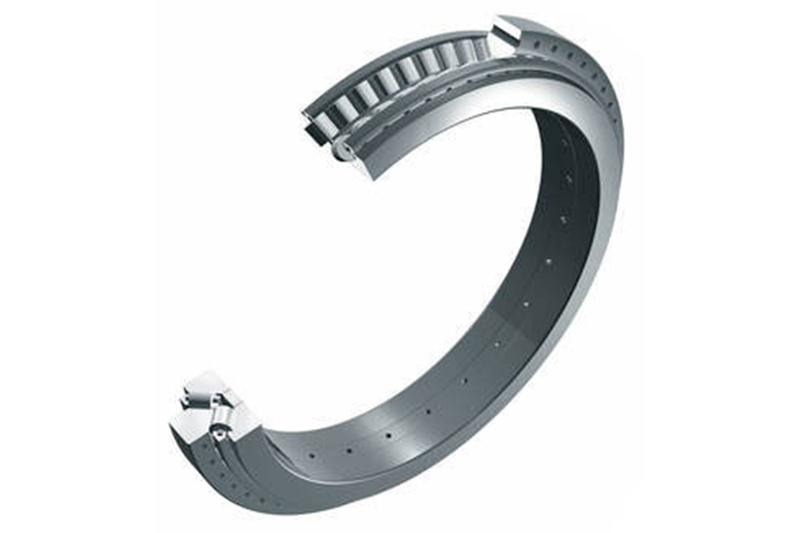 Extremely high demands are made when removing the main bearings. RiTeR Induction has successfully completed many projects internationally. Please feel free to inquire about our many references as we have gained a great amount of very valuable experience in this field.